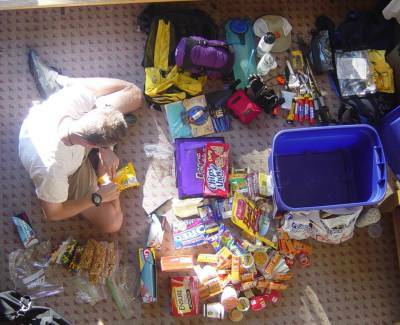 Adventure Racing requires a team to be extremely conscious of the equipment carried since every ounce carried slows you down. Race disciplines range from miles of trekking, navigation through dense forests, mountain biking, horseback, canoeing, kayaking, ascending, rappelling, and more. Here’s a sample of the type of equipment we carry during a race.